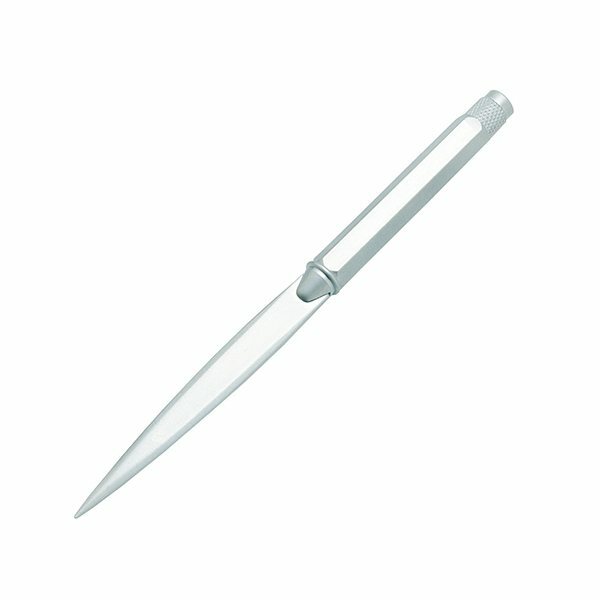 Metal letter opener with hexagon shaped handle. Rosa has made many excellent suggestions to help us save money and get quality products. Imprint is crisp and clean. Logo and imprint area is large and fits a lot of company information. Our logo design look terrific. Our logo really sticks out. they look great! : Very fast service.